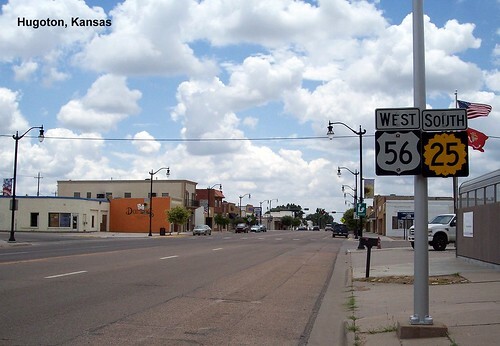 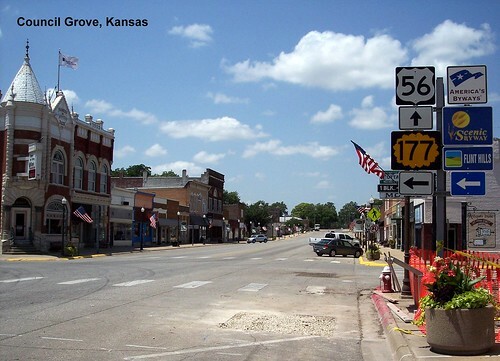 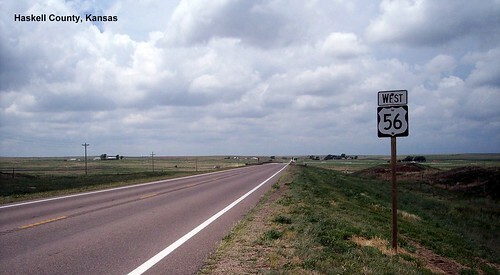 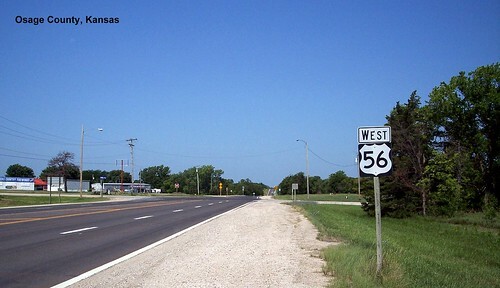 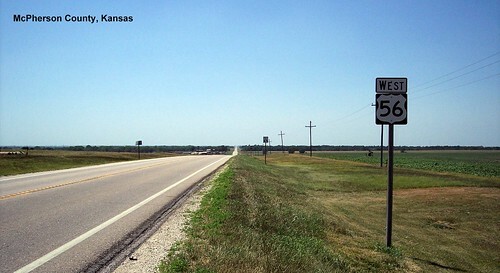 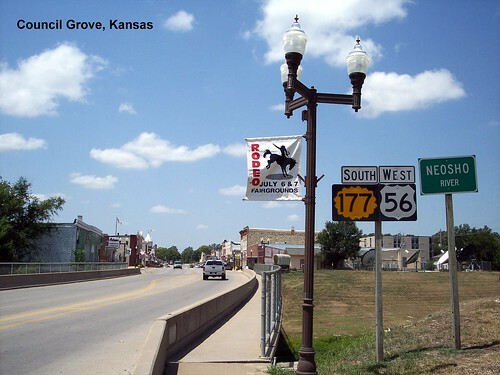 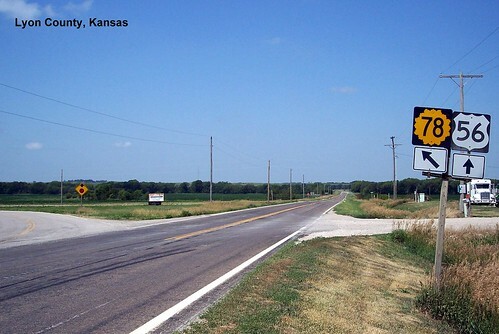 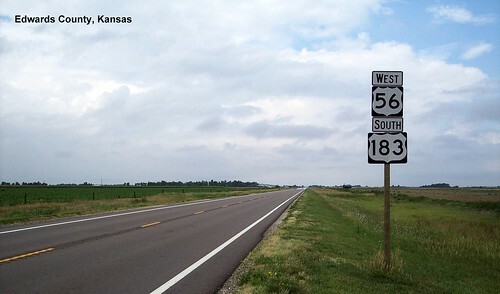 US 56 enters Kansas in Mission Woods. 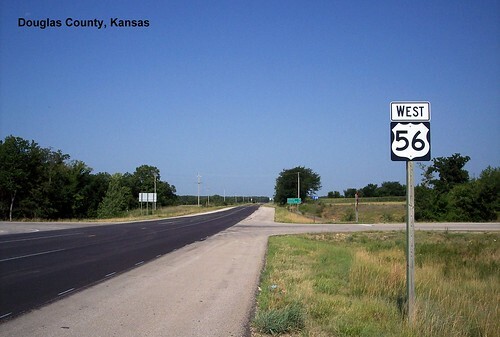 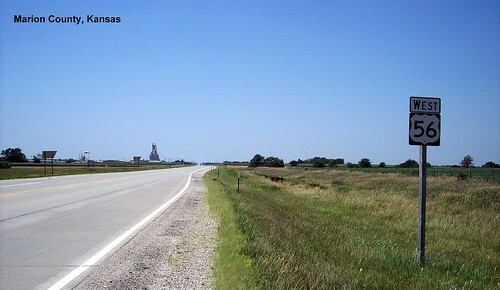 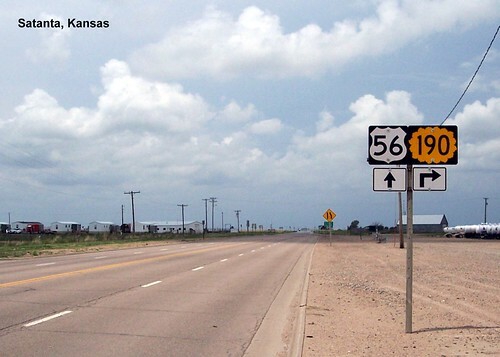 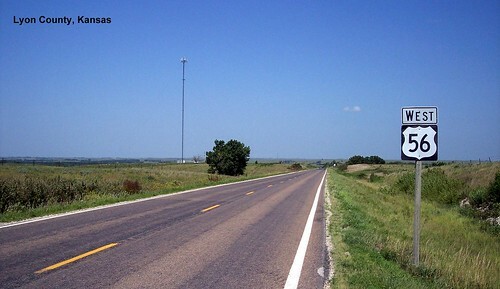 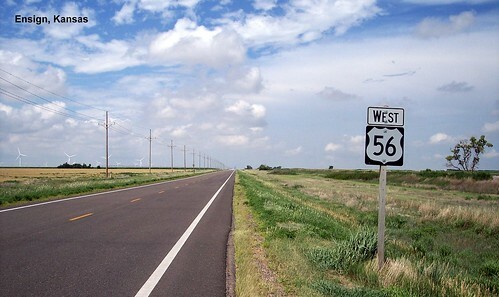 After going through the Kansas City suburbs and sharing pavement with I-35 for a stretch, US 56 heads across Kansas farmland. 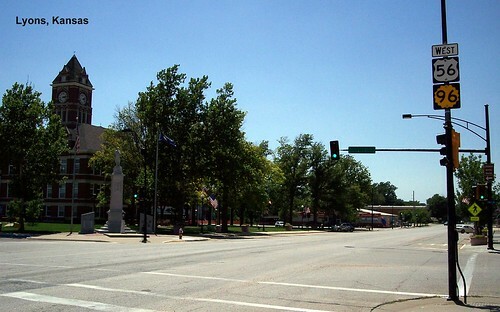 I love the brick streets in Kansas. 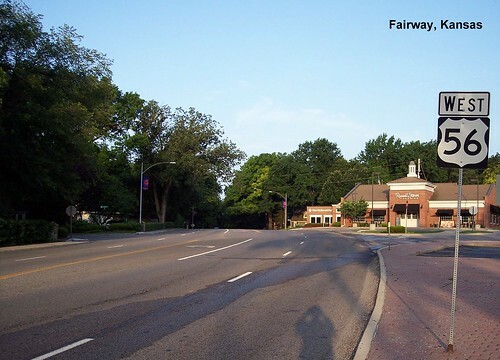 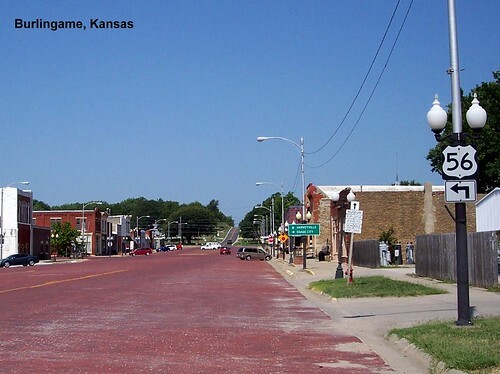 Most towns in Kansas still have brick streets, but it's rare that the main highway through town is still brick. 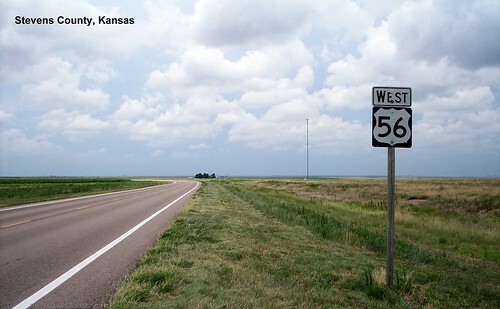 We woke up in Great Bend to storms in the area. 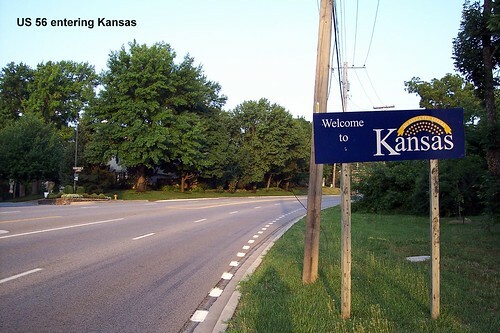 This is just as we were leaving town. 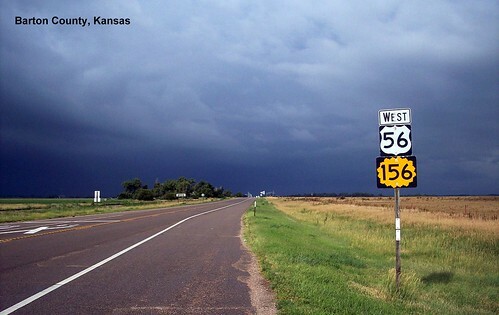 Heavy rain under those dark clouds. 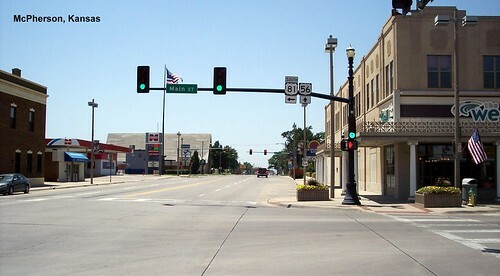 We watched fireworks and Larned the night before on the 4th of July, but unfortunately didn't take any pictures when it was nice and dry. 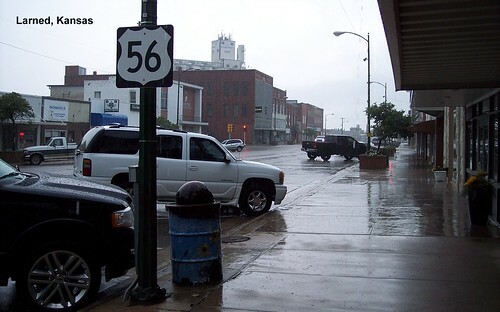 That was the only heavy rain we encountered on the trip though.